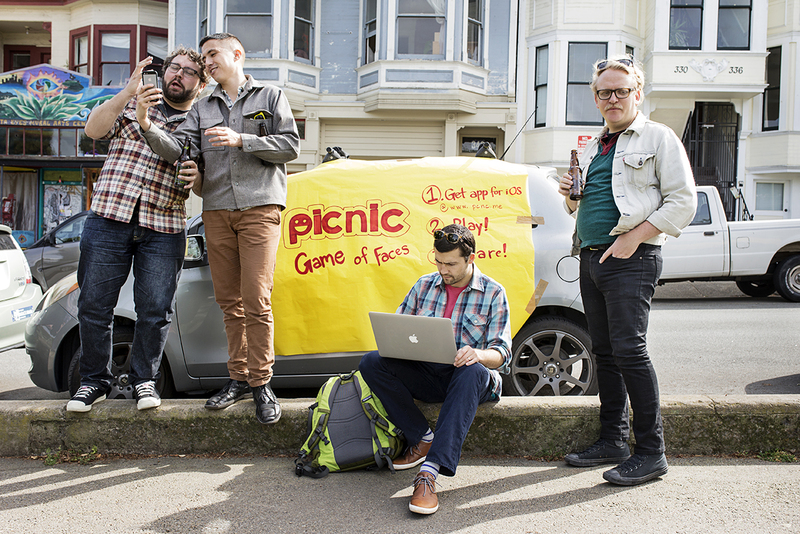 Andrew Hines (center) works on trying fix a problem during a beta launch party for his app Picnic with his co-founder Cassidy Clawson (second from right) at Precita Park in San Francisco, Calif., on Sunday, March 22, 2015. Picnic is a game that involves taking selfie photos in response to challenges to act out certain emotions. The launch had to be postponed after the co-founders realized the app wasn’t working because Apple’s TestFlight program, which was necessary for the beta testing, was down and not working that day.